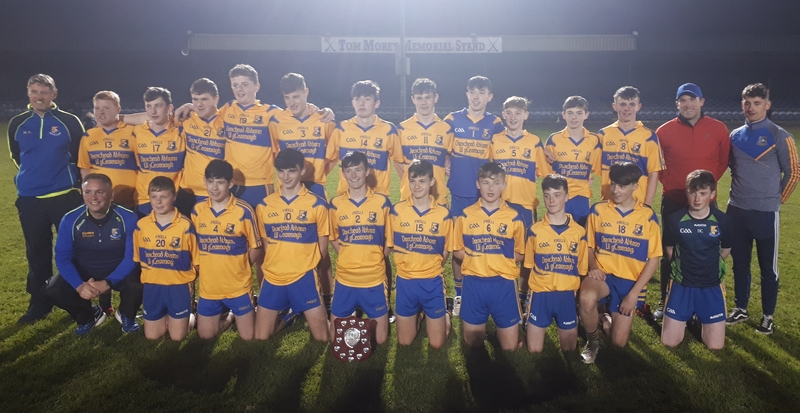 The Minor Club will host a Presentation night this Sunday from 7pm to mark the achievements of our U15A and U16A Shield squads who won their respective competitions in 2018. Both teams prevailed after titanic struggles in their finals versus Doora Barefield. 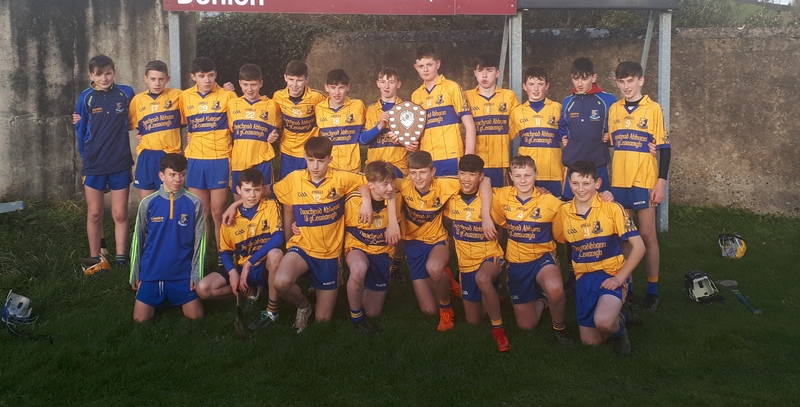 The U16 Shield team were taken to a replay by D/B, while the U15 Shield lads brought the curtain down on a busy 2018 with a nail-biting win in extra time vs D/B in Tulla in mid-November. 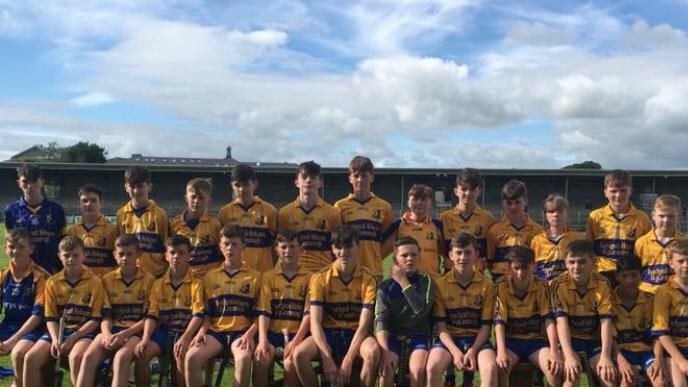 Congrats also to their colleagues in these same age groups who reached the County A Championship finals also at U15 and U16 but just came up short on both occasions. With the strength in depth apparent in our Teenage pool of Players, we know there will be better days ahead. As has often been said in our Club, Hunger is the best sauce especially after Co Final day disappointment, and so we look forward to these Players continuing their development and improvement in 2019 and beyond. At U14A and U13 Shield level, we also had teams which won out the Bord na nÓg Shield competitions which are put on to ensure more game time for those teams who just lost out on the semi-final proper of the competition they entered. Again these players, and the quality of Hurling they displayed, indicate great days ahead for themselves, their families and Club supporters in general. Special guests on Sunday night will be Christy Crá Murray and PJ Fitzpatrick who were members of the U15 Championship winning team of 1967 - the very first team from the then newly-formed Minor Club to deliver an A Championship to the 'Bridge. Even more importantly, these 2 men have contributed enormously as Adult players, Managers/Coaches and held numerous Administrative and Development positions in our Club, right up to their still very visible presence to this day. We look forward to welcoming Christy and PJ on Sunday night and thanks to another member of that 1967 U15 team, Tim Crowe for arranging, but who unfortunately will be out of the country for the occasion. We look forward to seeing as many as possible of our players and their families as well as supporters in general on Sunday evening.